Or this guy! Can you say ouch? But if you do want to be like this guy, we will even tell you where the urgent care center is. Road and Mountain Biking in Eagle, Colorado – Ride Eagle! Home of some of the best road and mountain biking on Colorado’s western slope! Eagle, Colorado’s newest resource for mountain biking, road biking, cruiser rides to the breweries, and even where to get your gear while here in Eagle. Shoot, we’ll even tell you where to get your grub and drink on! This site will give trail conditions, trail locations and descriptions. Note, most of the content in this website is the opinion of a couple mountain bikers here in Eagle that just feel blessed to have such an awesome playground right here in our back yards. We feel that Eagle, Colorado trails are great and just keep getting better. We are not getting paid or receiving any special favors by anyone here in Eagle. We are doing this for fun and as an experiment with the web… We are not professional bloggers, copy writers, photographers, or even professional cyclists. I am sure that we will have typos and run on sentences. I am also sure that our opinions will differ from others who ride the same trails and frequent the same restaurants and watering holes. Again, we are doing this for fun and hope you enjoy. This summer a good friend took me flying over Eagle and all I can say, is that it is so cool to see the area from the air. 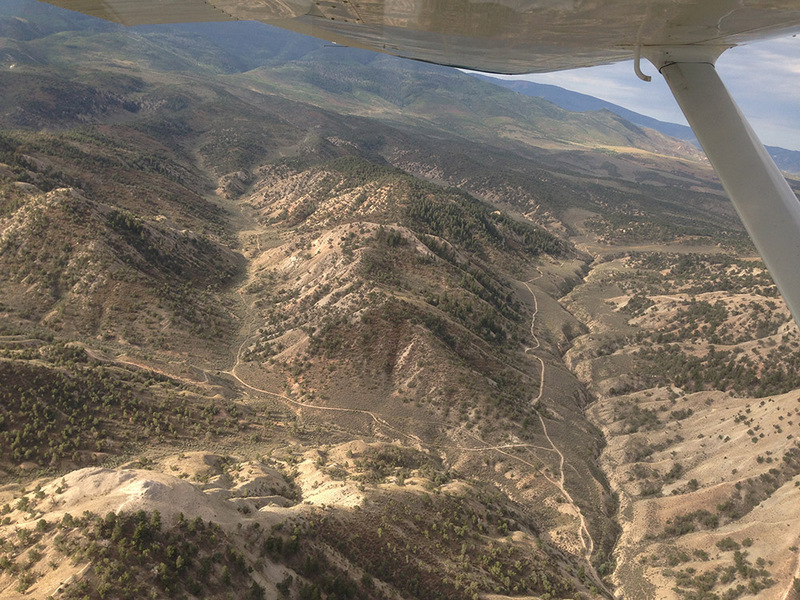 Here is a photo of the Elmers and Tick Alley trails taken on our way back to the Eagle Airport.